ChargeBar® started back in 2009 out of necessity. Being separated in a mall without a way to contact his wife, Hartley White wondered why there wasn’t a convenient place to recharge his cell phone. The idea took off from there. 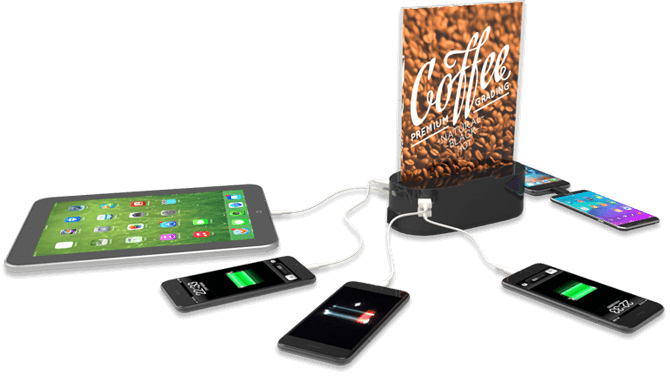 In a world where people rely heavily upon their cell phones, PDAs, & personal media players, the demand to provide mobile charging capability is essential. ChargeBar charges virtually any mobile phone or portable device faster than a standard wall charger. 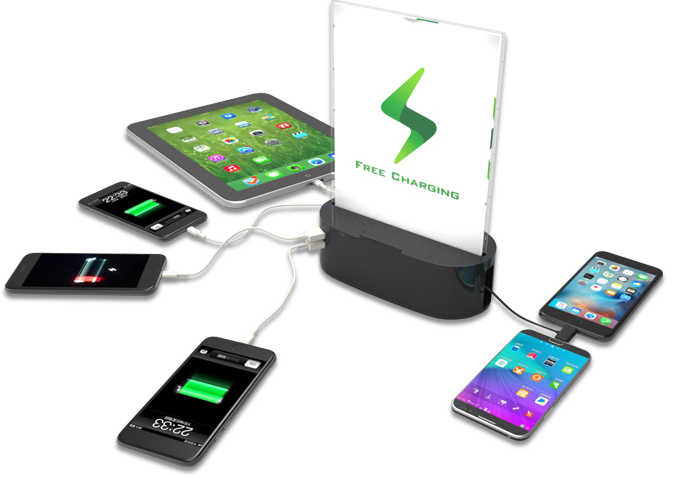 ChargeBar provides customers a convenient way to charge their mobile devices quickly and no longer need to risk being out of touch. Anyone who relies on the convenience and security of a cell phone no longer has to worry they will be unreachable because they’ve forgotten to charge their phone. When it’s time to get a ChargeBar® for your business you can choose between leasing and purchasing. If you think you will only need the unit for a short time renting may be your best option. Either way we have you covered. You have an event coming up and you want to find a way to engage the public. 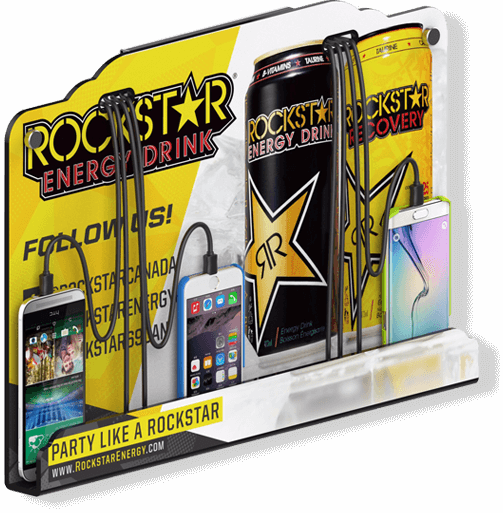 Renting a ChargeBar® charging station is a great way to engage and hold conference attendees through the use of the charging function and the built-in LCD screens. The high definition screens can broadcast your message to a captive audience. The units are great to enhance a sponsorship package. Screens support both video (MP4) and jpeg files which can be played in a continuous loop. All of our rental charging stations are plug-and-play ready to go. All digital media are pre-loaded prior to your event. All that needs to be done is to plug it in. It’s that simple. We ship all over Canada and the United States.